Freggia washing machines feature unique Italian design and come in a wide array of colors. 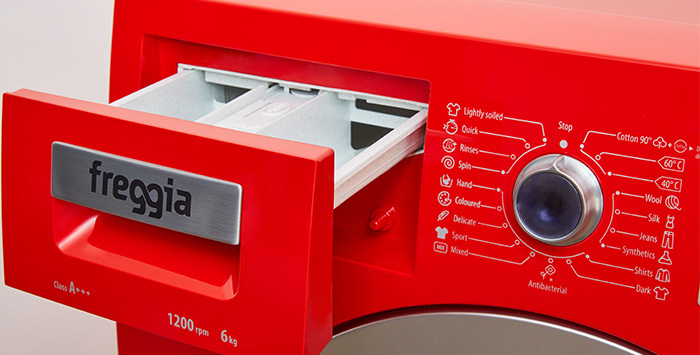 The new Freggia line offers washers in white, black and even red! Every machine has a state-of-the-art full graphic display using which you can easily set the optimum washing parameters and preset the program run delay. Just like expensive Italian cars, Freggia washers feature a specialized anticorrosive coating applied by cataphoresis. 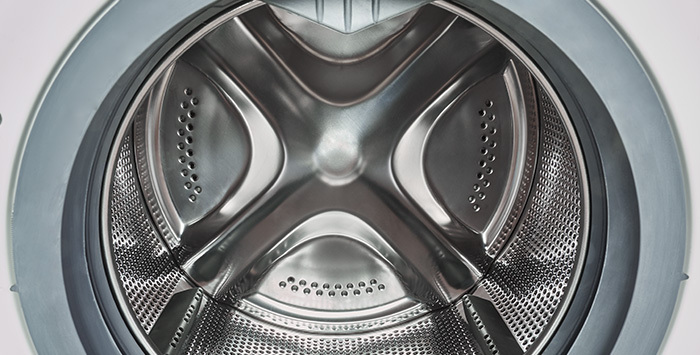 A professional drum guarantees high quality washing due to an increased number of holes and four blades, as well as minimizes washer vibration due to its perfect balancing. Advanced Ecoball drain system prevents sewage odors from entering the room where the washer is installed and enables economic use of detergents. 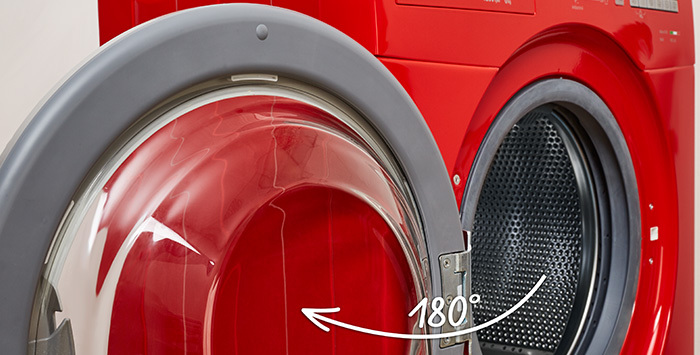 There’s much more to the impressive technical features of Italian washing machines. For instance, with its 33 cm depth, WISA105 model is rated for 5 kg load, while the maximum load of WIE148 and WTIE148 models is 8 kg. It is also worth noting that the machines are rated in energy efficiency class А+++, which means minimum energy costs, while 1,400 spin rate will save you time for drying. 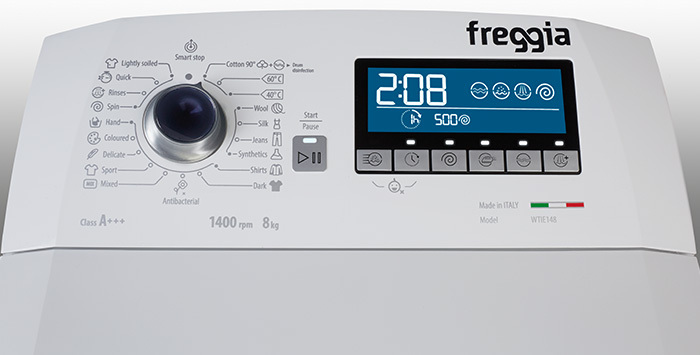 Freggia washing machines provide the highest antibacterial protection in their class by means of several technologies at once. Most notably, this is a unique antibacterial wash program which destroys over 99 % of dangerous bacteria at just 40 °С without the use of special detergents. You can wash your baby’s prettiest clothes safely, without the risk of fading, and be sure of the maximum antibacterial protection and hypoallergenicity! 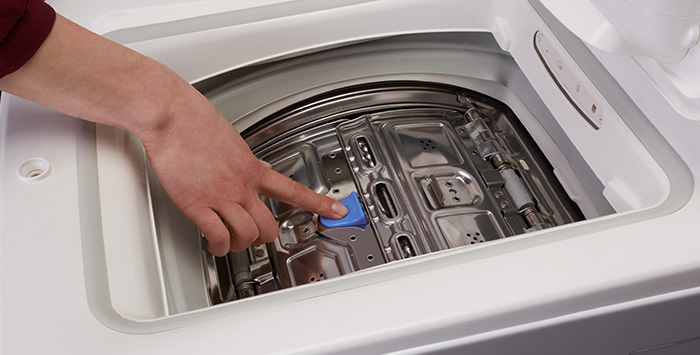 To prevent odors in the drum, the washer will offer a special drum disinfection program when it is needed. Special Microban® materials in the detergent dispenser and drum rubber seal provide additional protection from odor and mold. Freggia offers washing machines for a variety of needs. You may choose a model both by loading type (vertical or horizontal) and by the most suitable set of functions. All the more so special washing programs will save you time and effort by setting the washer as needed. For instance, Dark, Blouses/Shirts, Jeans, Colored programs will carefully wash your clothes and keep their original appearance, while Quick wash program will be of use in 20 minutes when you’re pressed for time. Find your ideal assistant with a new Freggia line of washing machines!